"The pad is felt on one side and rubber on the other. The rubber side does a good job of staying put on hardwood floors without leaving any marks." "Made of light strands woven together into a floral pattern, the pad provides just enough grip without clinging to the hardwood underneath." "Available in as small as a 2' x 3' profile, the Linon Home Decor pad is a perfect purchase for smaller rugs or tight spaces around a room." "The 9' x 12' cushioned pad has a thick felt surface that offers plenty of grip to keep large furniture from sliding around." "Reusable and sustainable materials can make great rug pads, especially 100% felt pads." "Alone, the felt would slip around, possibly scratching up the floor underneath. With the rubber backing, however, the pad firmly stays in place." At just 1/8 of an inch thick, this pad does a good job of balancing the traction and comfort most pads provide without adding extra bulk." A good rug pad can make a dramatic difference for the life of both your hardwood floor and the rug itself. Rugs that sit without padding are more likely to wear down from the underside in a shorter amount of time. They will also be less comfortable on your feet than rugs with pads. Therefore, the right rug pad can be a great investment. The Mohawk Home Supreme Dual Pad comes in a variety of sizes to match different types of rugs with different profiles. It can also be trimmed to size as needed. The pad is felt on one side and rubber on the other. The rubber side does a good job of staying put on hardwood floors without leaving any marks. 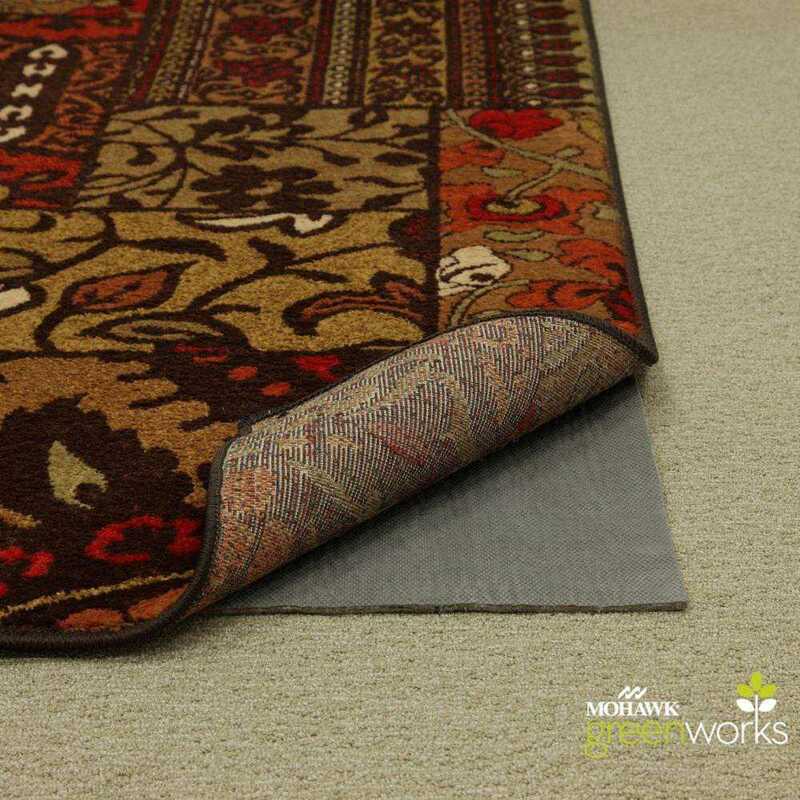 The rubber backing is also stable enough for use on carpet or tile if you want the extra layer of comfort under the rug. Budget rug pads often use a unique design that reduces the amount of padding without sacrificing the level of grip and comfort as much. Most often, these pads look like open grids that leave space for air to help cushion each step on the rug above. These value pads are often a better choice to premium options if you need to trim the material for a custom shape or size. The Sugarman Creations Non-Slip Rug Pad doesn’t sacrifice performance despite its unique design and budget-friendly price tag. Made of light strands woven together into a floral pattern, the pad provides just enough grip without clinging to the hardwood underneath. The reversible design allows you to choose between a 100% felt side or felt/recycled rubber side for even more grip. It doesn’t matter how large or small your rug is, an unsupported rug can do a lot of damage to an exposed hardwood floor. 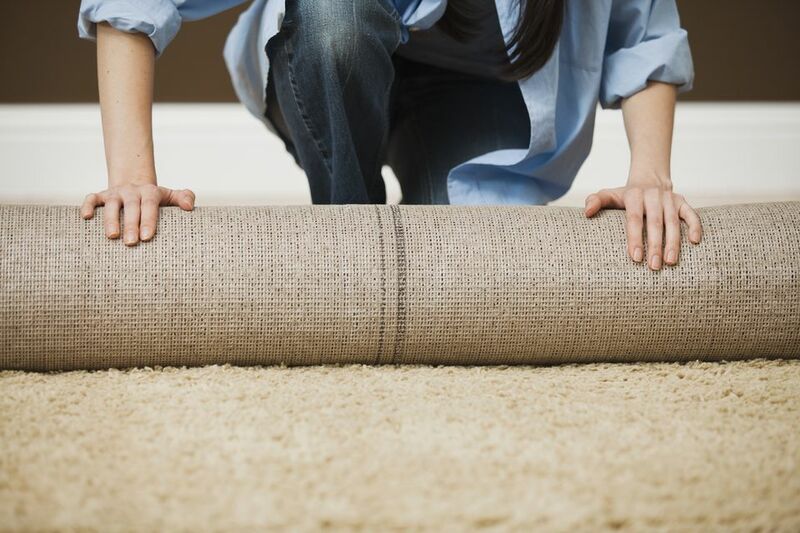 Even small rugs have the potential to do some localized damage that results in a patch of scratches and blemishes. While most rug pads are meant to be cut and trimmed, buying a small pad will save you some preparation time. Available in as small as a 2' x 3' profile, the Linon Home Decor pad is a perfect purchase for smaller rugs or tight spaces around a room. The pad uses a rubberized backing that can be trimmed with scissors for custom fitting and shapes around walls and furniture. When not in use, the padding material folds up into a small shape that doesn’t take up much room in a closet or drawer. Having a good pad is absolutely crucial to having a level and uniform large rug that won’t damage the hardwood floor underneath. Without the padding, a large rug is more likely to bunch up, slide in different areas, and potentially become a safety hazard for people walking around the room. For the best results, you will need a large rug pad that does a good job of keeping everything flat and together on the floor. For larger rugs, the Mohawk Ultra Premium 100% Recycled Felt Rug Pad is hard to beat. The 9' x 12' cushioned pad has a thick felt surface that offers plenty of grip to keep large furniture from sliding around. The pad is trimmable with a knife or pair of scissors for a custom fit around the room. If you need something smaller, the rug pad also comes in other sizes down to 4' x 6'. Many people prefer to use materials that do not harm the environment. Reusable and sustainable materials can make great rug pads, especially 100% felt pads. Unlike vinyl and synthetic rug pads, felt uses no adhesive to grip to the floor. This leaves hardwood untouched and undamaged as the rug pad itself is free to release moisture during humid or rainy days. When all-natural materials are required, the Rug Pad USA RPC38F-69 pad is the best premium option to consider. The felt padding comes in at 1/2 or 3/8 inches thick and 6' x 9' width/length, making this one of the thickest pads you can buy. With the extra bulk, you will get more durability, better grip, and comfortable foot support underneath the rug. One of the primary jobs of a rug pad is to provide traction. Since most rugs can slip and slide around on hardwood floors, particularly if young children or pets are at play, a pad is necessary to keep the rug in place. For the best results, consider a non-skid, rubber backed rug pad that provides better grip on slippery surfaces. The Rug Pad USA AG30-711 pad comes in a variety of sizes and profiles, all with the same felt surface backed with a grid of rubber strands for better grip and traction on hardwood floors. Alone, the felt would slip around, possibly scratching up the floor underneath. With the rubber backing, however, the pad firmly stays in place even when children and pets are running across it. The one major disadvantage with most rug pads is the extra bulk and thickness they add underneath the rug. The worst pads can raise the rug by nearly a quarter of an inch, potentially creating a tripping hazard if people aren’t careful when stepping onto the rug. For a thin profile that won’t add much extra thickness to your rug, the best choice is the American Slide-Stop All-Surface Thin Pad. At just 1/8 of an inch thick, this pad does a good job of balancing the traction and comfort most pads provide without adding extra bulk. This is the type of pad to choose when you want to keep the rug nearly flush with the floor. Better still, the pad has a reversible design where you can flip it over for use on hard surfaces or carpets.